Roller blinds are a available in a great range of styles and colours from traditional colours and patterns to vibrant prints. There is a roller blind fabric to suite all tastes. We have a choice of over 1000 fabrics which include blackout fabrics and water resistant PVC. 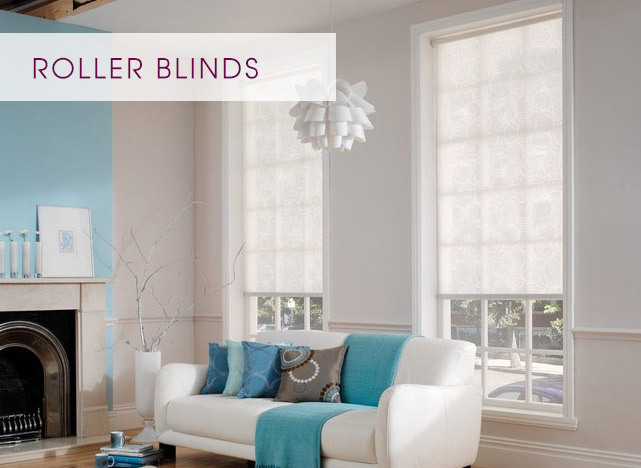 Roller blinds offer a range of options to customise them to your style. From shapes and braids to decorative pulls and metal eyelets you can make a blind that is truely unique to your taste. High quality Our roller blinds are manufactured to the highest standards using high quality components. We use aluminium tubes and high quality roller mechanisms, ensuring your blind works as good as it looks.